The links below provide information about Bards / Bhatts and their contributions. Bhatt Bani (the hymns by the bards) comprising twenty pages is incorporated in the concluding part of Adi Granth. The Bhatts are supposed to be the descendants of Koshish Rishi and are linked with the Sarshat Brahmins. It is a fact that almost all the eleven Bhatts belonged to Punjab and were residents of Sultanpur Lodhi (district Kapurthala) where Guru Nanak had served in the Modikhana for 13 years. According to Bhatt chronicles they were sons or nephews of Bhikha and Toda Bhatts. The Bhatts loved the Gurus, treated them as revered Avtars and the accepted continuity of the same light in each one of them. According to them, it wa the same spirit which started with Guru Nanak and was passed on to the success Gurus. Their forms might have been different, but the spirit was the same. 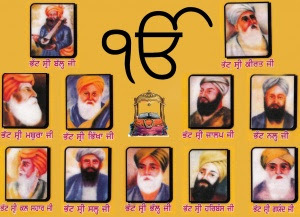 A important point which crops up at this stage is that, even though the Sikh culture accepts oneness of the spirit of the Gurus, the Bhatts saw Guru Nanak as the incarnation of Vishnu and the successor Gurus as the incarnation of Guru Nanak. The point which makes it more significant is that it was for the first time that this recognition was recorded in Sikh literature and the full credit goes to Bhatts.